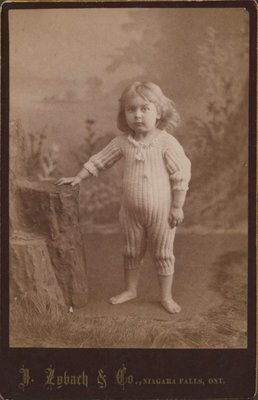 A photograph of little Maggie Murray. John Zybach is listed as operating photography business in Niagara Falls in 1886-1892. J. Zybach & Co., Niagara Falls, Ont.